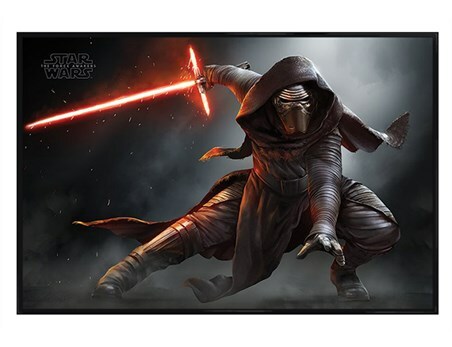 Film Canvas Print: After the release of Star Wars Episode VII in late 2015, the hugely popular sci-fi franchise has dominated the world once again. 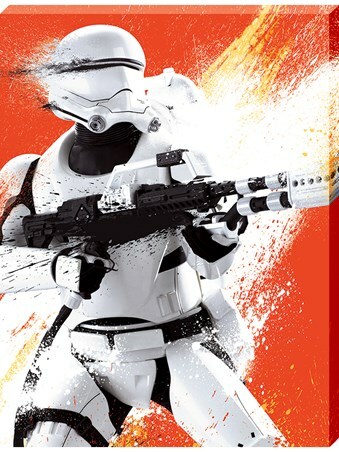 This vibrant canvas print features a colourful orange background, with a paint splattered Stormtrooper soldier standing in the foreground, his weapon ready to aim. 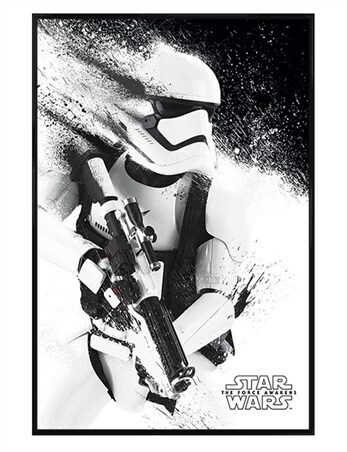 It will add the perfect artistic touch to the home of any dedicated fan. 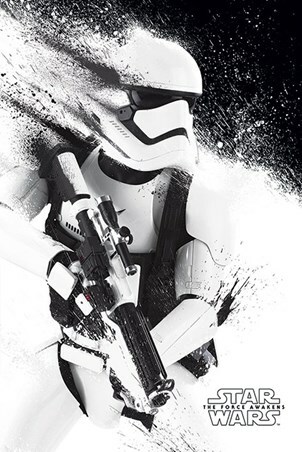 High quality, framed Flametrooper Paint, Star Wars Episode VII The Force Awakens large canvas print with a bespoke frame by our custom framing service.